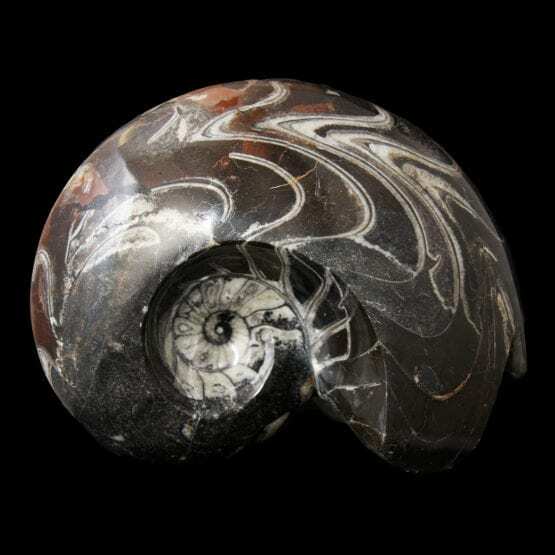 Evolved from Nautiloids in the early Devonian period, Goniatites were abundant in seas for approximately 370 Million Years before vanishing. Goniatites display amazing colours created by mineral exchange over very long time periods. Sutures (“rigid joints between two or more hard elements of an animal”) have both rounded and pointed elements in the form of a zig zag.